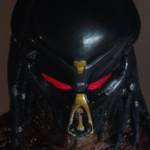 Last August, Prime 1 Studio revealed their The Predator – Life Size Fugitive Predator Bust. Now, fans will be able to accessorize the bust with two new life size companion pieces. Prime 1 has opened up pre-orders for two arm pieces, each with a different accessory. These include a right forearm with the Fugitive Predator Wristblades and a left forearm holding the Fugitive Predator Shuriken. These are due for release between May and July of 2020. Payment plans are available. After the jump, you can find photos, details and pre-order links. 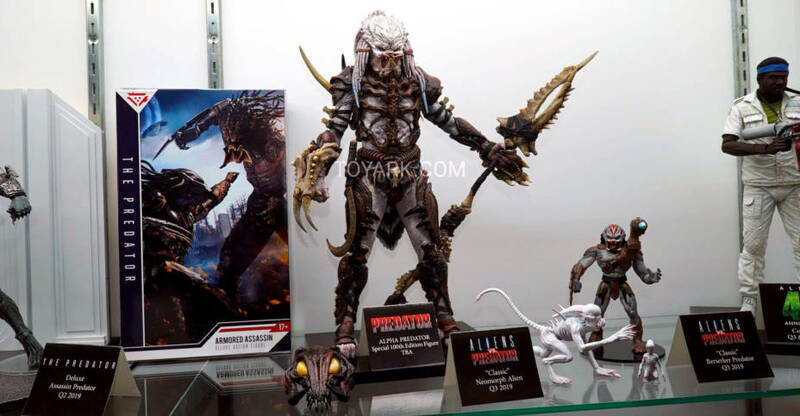 At Toy Fair 2019, NECA revealed a new version of the Fugitive Predator from The Predator (2018). The new figure is based on his escape from the lab, as he attempts to reacquire his armor. The Lab Escape Fugitive Predator Ultimate Figure is due for release in the second quarter of the year. The figure has an unmasked head sculpt, a light up LED masked head sculpt, a mask accessory, multiple interchangeable hands, a shuriken, and a rifle. You can see the official images by clicking the headline of the story. From the new movie The Predator, directed by Shane Black! Based on its appearance after it awakens in and escapes from a government research facility, the Fugitive Predator (Lab Escape) stands over 8” tall and features over 30 points of articulation. This version includes 2 new interchangeable heads (unmasked closed mouth and masked with glowing red LED eyes), 5 interchangeable hands, battle damaged mask, shuriken and rifle. Uses button cell batteries, included. Comes in display-friendly window box packaging with opening flap. A new version of the Fugitive Predator from last years The Predator has been teased by NECA, via their profile pic on Twitter. The figure looks to be the captured Fugitive Predator, before he takes out the scientists and gets his armor back. In just a few days, the figure will likely be fully revealed. Click the thumbnail for the full image. Today we have a nice surprise photo gallery to share with our readers. Back in September, NECA revealed a Thermal Vision Fugitive Predator from The Predator (2018). The figure is a variant of their Ultimate Fugitive Predator, with a paint deco that’s based on poster art used for the film (and is being used on the newly released Blu-Ray). The figure is available exclusively at Target stores starting this week! 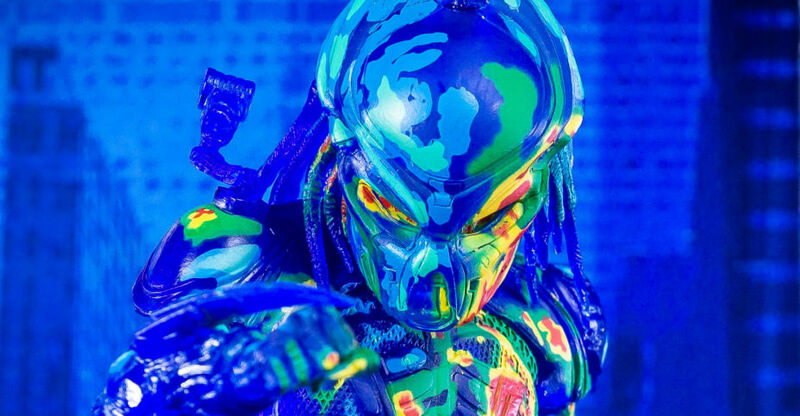 The thermal Vision Predator figure will be priced at $26.99, and should begin showing up in the NECA section of your local Target before the end of the week (may vary store-to-store). The figure is packed in a collector friendly window box. Our friends at NECA were kind enough to send the figure over for an exclusive first in-hand look at the new Predator. We’re excited to finally share this with our fans and readers. We have a full photo gallery and review for the Thermal Vision Fugitive Predator. Check it out after the jump. Every Christmas Eve, you can count on NECA to share some first looks, teasers, announcements and other previews for upcoming releases. We have rounded up this years announcements into one post for your convenience. Check out the details below, and read on for the images. We’ll update as more are released tonight! NECA shared the first look at the packaging for their packaging, for the Godzilla figure from King King vs Godzilla! This marks a major deparute from previous figures, as they will now be allowed to have unique packaging for each release. 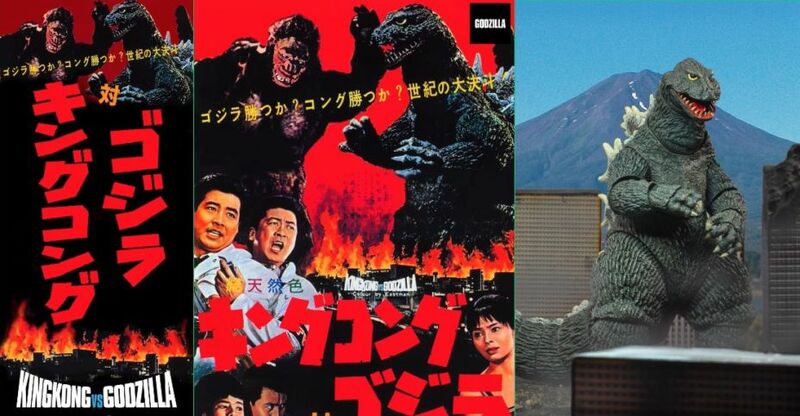 For this, Godzilal will be packed in a flapped window box, complete with retro poster art. Atomic Breath effects piece will be included. This preview of new weapons and accessories heavily points to the “Roy Burns” Jason Voorhees from Friday The 13th Part V: A New Beginning getting the Ultimate Figure treatment. We see a road flare, garden shears, a machete, a knife, a cleaver and much more. Tonight we get our first look at the final packaged Teenage Mutant Ninja Turtles (1990) – Michelangelo 7″ Scale Figure. The photos showcase the packaging, as well as a look at the tray layout showing the accessories. The GameStop Exclusive TMNT 1990 figures hit early in 2019. Fans have been asking for new characters, and NECA looks to be delivering on those wishes. They posted a shot of, what appears to be, Dr. Neo Cortex’s ray gun! A great look at the prototype and accessories for the Aliens – Kenner Tribute Drake 7″ Scale Figure! The pic also shows how it will be laid out on the blister card. 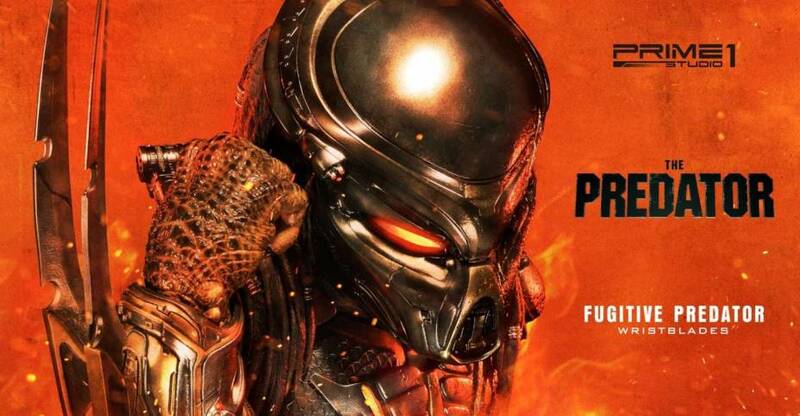 We get a look at the packaging for the Target Exclusive Thermal Vision Fugitive Predator from The Predator (2018). and yes, we will have an exclusive in-hand photo gallery go live on December 26th! The original pencil drawing for the upcoming GameStop Exclusive Ultimate Video Game Gremlin, by Jason Edmiston, was shared. An all-new T-shirt design was revealed by NECA. Will be used for contests and giveaways, and perhaps for sale if enough interest is there from fans. 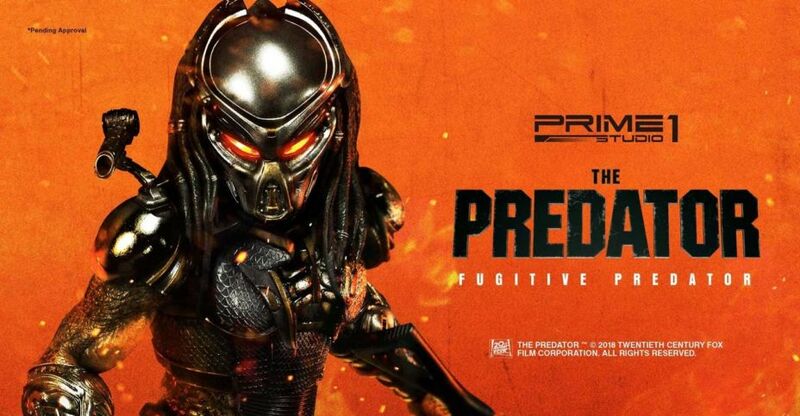 Pre-orders have been opened for Prime 1 Studio’s upcoming Fugitive Predator 1/4 Scale Statue from The Predator.They will be offering a Regular Version as well as a Deluxe Version. 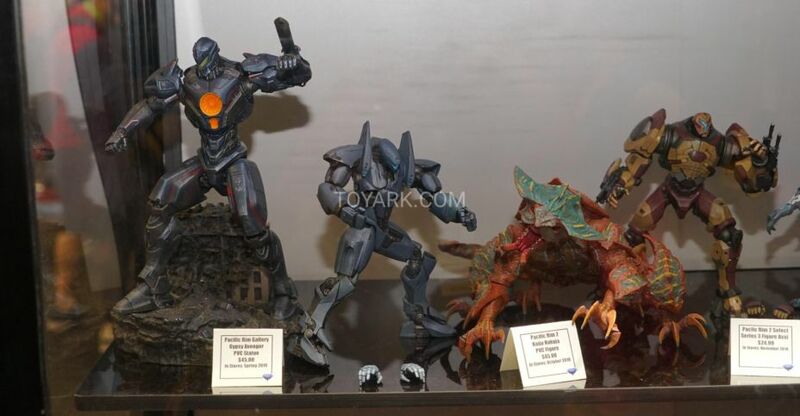 The statue includes masked portrait, an unmasked portrait with open mandibles, a head stand to use with the interchangeable heads, interchangeable left arms, and LED light up features on the mask, shoulder cannon and the base. The Deluxe Version includes all of that, as well as an extra head stand, an unmasked portrait with closed mandibles, an interchangeable damaged mask portrait, and an additional swap out left arm. The statues will stand over 29″ tall, standing atop a themed base. The Fugitive Predator statues are due for release between December 2019 and February 2020. The Regular Version is priced at $1,249, while the Deluxe Version is priced at $1,449. The Deluxe Version is also limited to 70 pieces. Photos, details & pre-order links can be found after the jump. 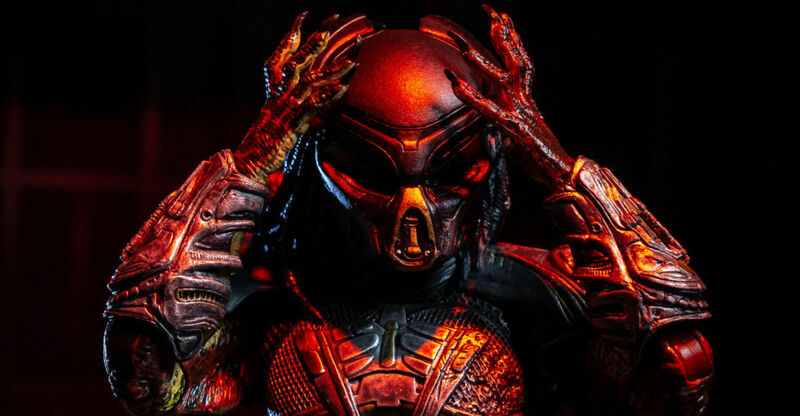 In director Shane Black’s The Predator, we are introduced to a new take on the intergalactic hunters, as traditional Yautja give way to generically enhanced Ultimate Predators. 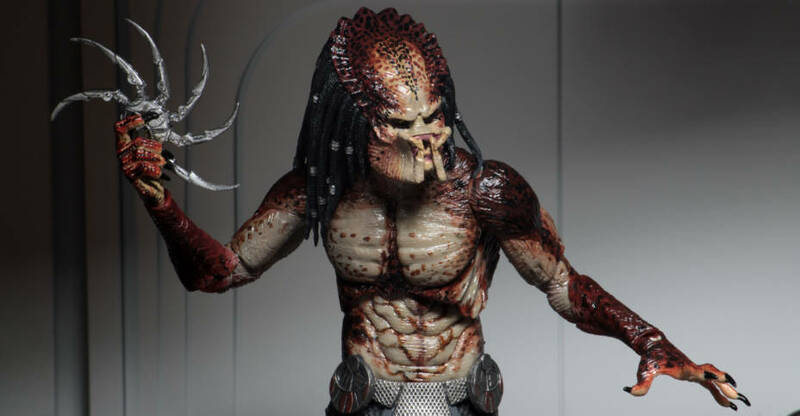 NECA‘s first figure from the 2018 reboot of the franchise is based on the Fugitive Predator, who is introduced early in the film. 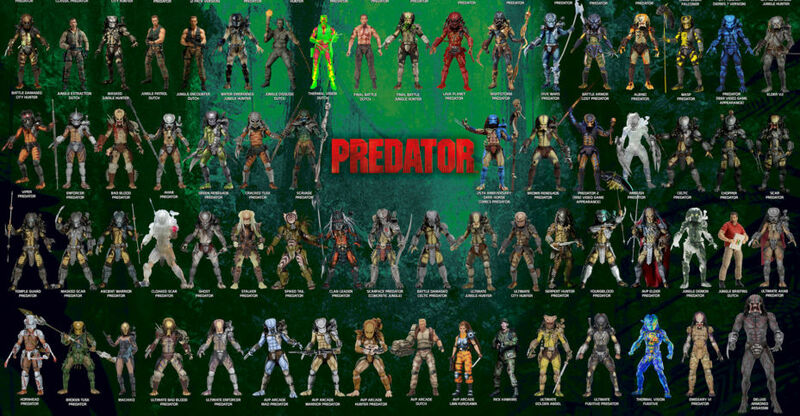 Additional figures are planned, including the massive Assassin Predator. The Fugitive Predator gets the Ultimate Figure treatment off the bat, with interchangeable portraits, interchangeable hands and forearms, and detachable blades for the wrist gauntlets. The figure is in stores now. We picked up the figure from Toyark sponsor Entertainment Earth. After the jump, you can check out a full gallery and my thoughts on the figure.